Time for an update. Here is a picture of my pinwheels. FINISHED!!! Yeah!! I sewed all afternoon Saturday and have half of step 4 finished. This is the 2nd picture. Boy those greens are brighter than I thought they would be. 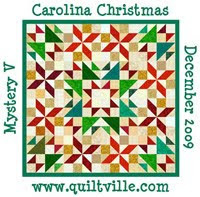 It is well known in my quilting circle that I can not make a pastel quilt. LOL. I think even if someone picked out the fabric for me, it would still end up with something brite. I just cant help myself. I think I will use the left overs to make the flying geese and maybe add some blue. I cant believe I havent put blue in here yet. This is very different for me, but I love the stretch. 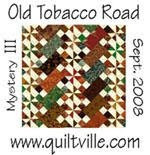 Had to put this aside today so could work on customer quilts for out county fair in 3 weeks. I have 2 to go and need to finish the binding on mine. Sure would like to get another one of mine ready, but it is a king size and I cant see me getting the binding done that fast. I have to quilt it first. But I might try. Will post pictures after the judging, so wont tip anyone off. I LOVE your colors! Really, really beautiful. I can't wait to see it finished. Are you going to do the flying geese? The green is giving it a bit of extra punch. I sometimes start out thinking how something will look until reality catches up with me. 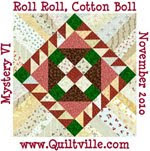 I still like most of mine, and the greens certainly provide the bright side in your quilt.